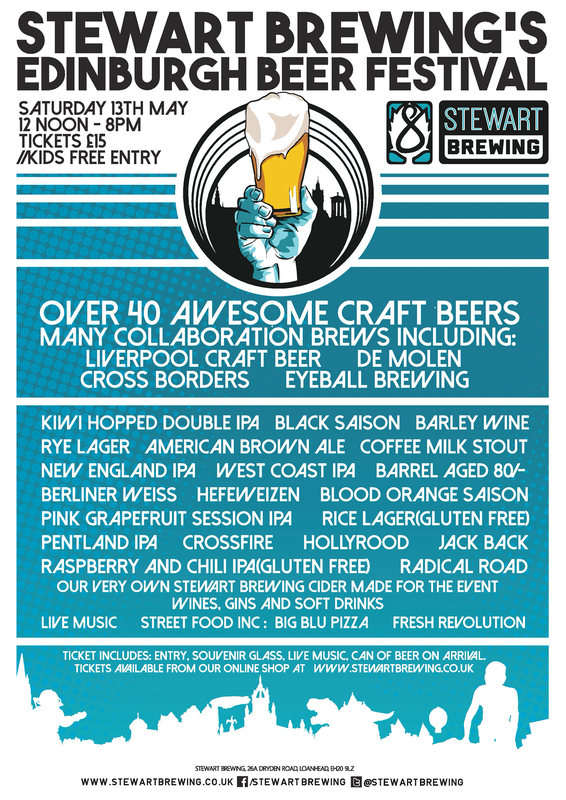 Stewart Brewing - who will play host to the Edinburgh Beer Festival on Saturday 13 May - has announced several limited-edition collaboration beers that will be available at the festival this year, including an ice cream style ale with Over Langshaw Farmhouse Ice Cream and a kiwi hopped double IPA in partnership with local brewer Cross Borders. 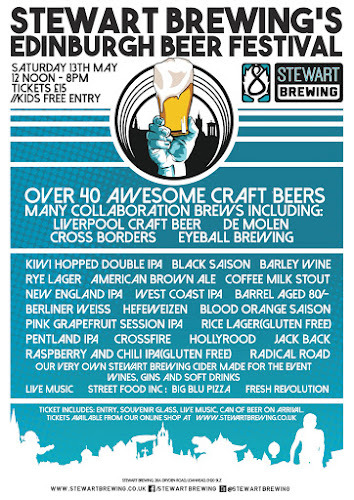 In addition to these new creations, Flying Panda - which was conceived when Stewart Brewing’s Head Brewer teamed up with Head Brewer at PandaBrew in China - will be back on the menu.Problem Solved, a successful collaboration with De Molen in the Netherlands, and Cross Roads, last year’s beer festival trans-Atlantic collaboration with the Crux Fermentation Project, will also be back by popular demand. 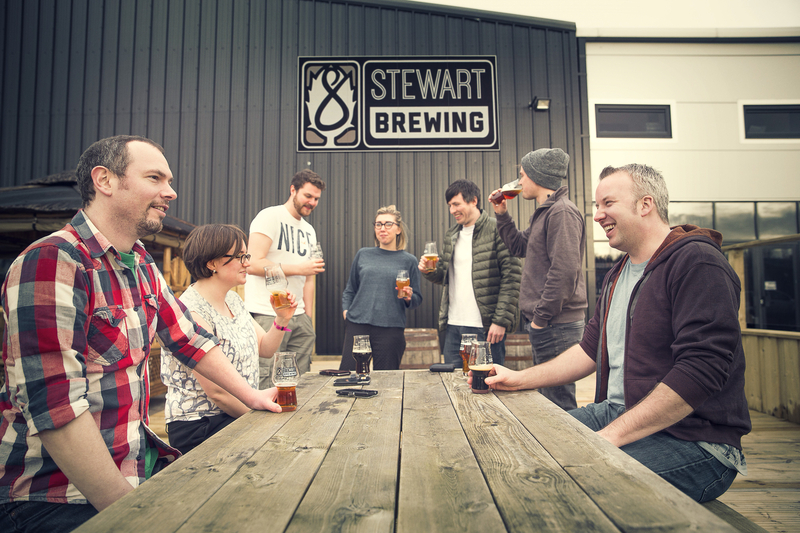 Jo Stewart, Stewart Brewing co-founder, commented: “We really enjoy getting together with quality craft breweries and seeing what we can create when we combine forces. It’s always a fun and educational experience and the results are fantastic! Tickets to the Edinburgh Beer Festival cost £15 per person which includes entry, a souvenir glass and can of beer on arrival. Children accompanied by adults can attend free of charge. 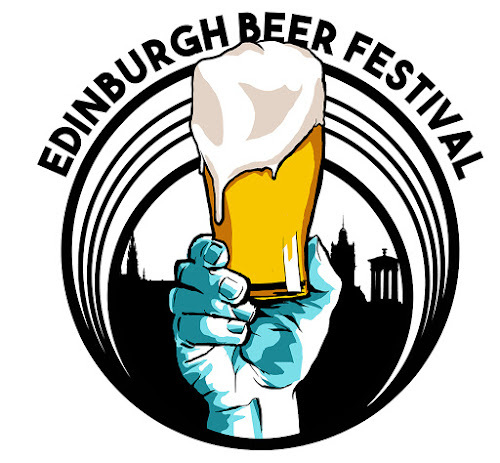 The Edinburgh Beer Festival takes place at Stewart Brewing, Bilston Glen Industrial Estate, 26a Dryden Rd, Loanhead and is easily reached from Edinburgh city centre by bus, routes 37 and 47.